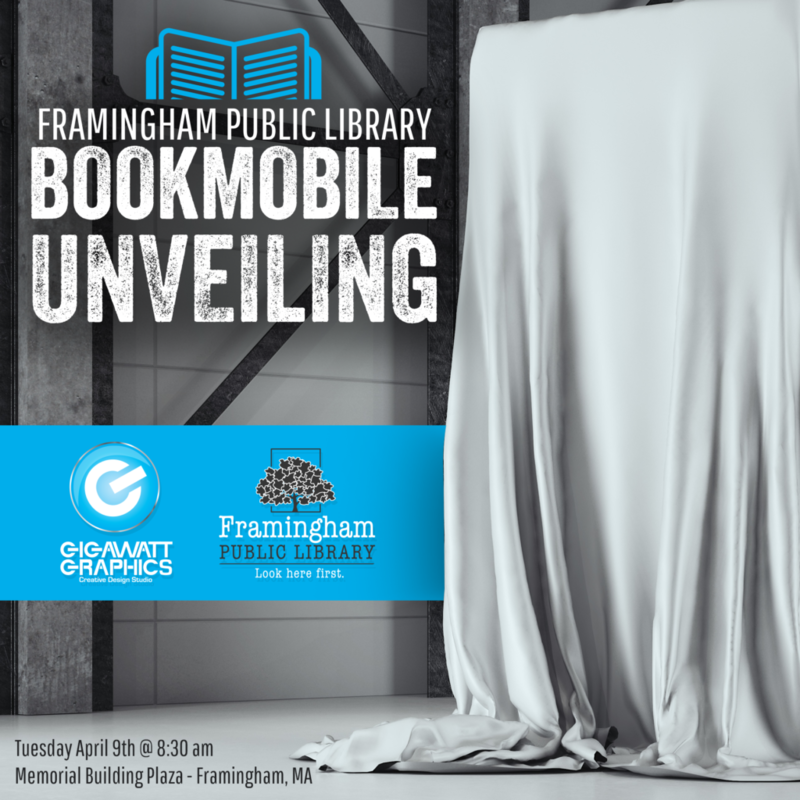 Over the past few months, we’ve been hard at work on a bookmobile design for the city of Framingham’s Public Library. Come join us for the grand reveal! The unveiling will take place on Tuesday, April 9th at 8:30am at Memorial Building Plaza in Framingham, MA.